 Sizes I - V, IV, and V Spey. 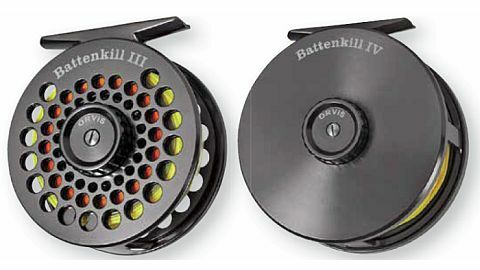  Sealed and maintenance-free carbon and stainless steel disc drag.  Spey versions with solid frame and full cage available in IV and V.
 Positive click drag is simple and easy to adjust.  Mid-arbor reel in black nickel.